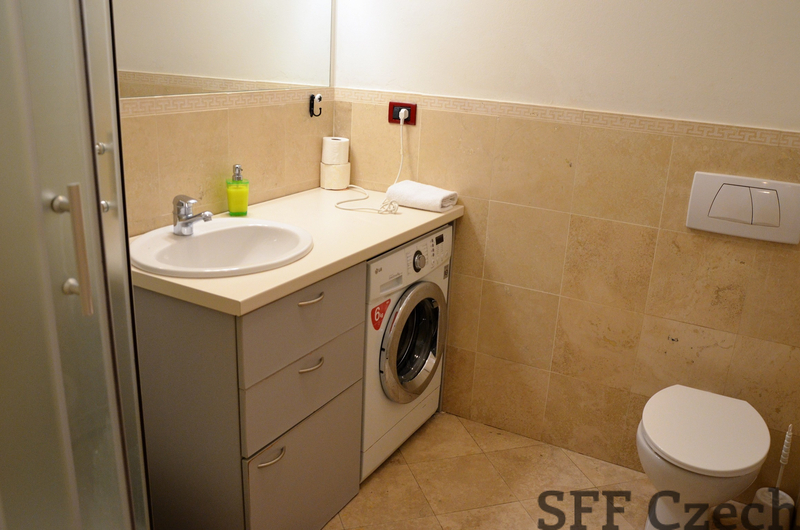 For long or short term rent we offer nice fully furnished apartment 2 + kk (38 sqm.) in Prague 2 just a few steps from I.P. 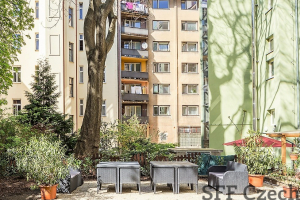 Pavlova (metro red line C) or 5 minutes walk from center Wenceslas Square, Praha 1. Bright and spacious apartment consists of entrance hall, living room with kitchenette, small bedroom and bathroom with shower, toilet, bidet and washing machine. 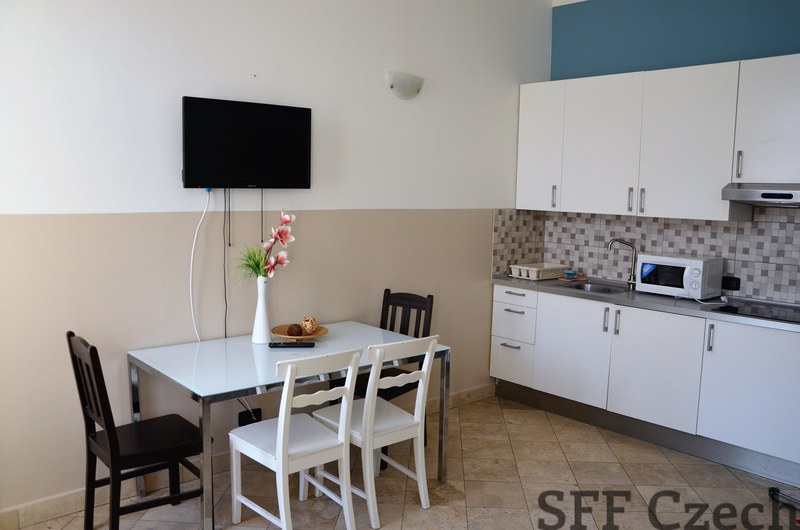 The kitchenette is equipped with appliances (fridge/ freezer, ceramic hob, hood, microwave, kettle, dishes). 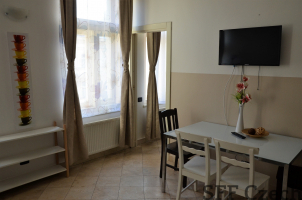 The flat has a double bed with pillows, blanket and bedding, convertible sofa bed, dining table with chairs, wardrobe, TV, curtains and other small equipment. By agreement, it is possible to provide working desk. The house is in a good and maintained condition in which there is a lift and a camera system. 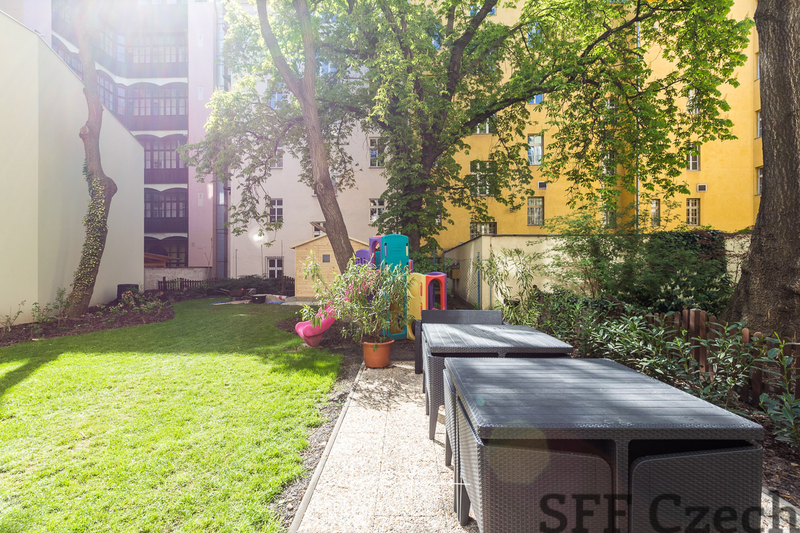 The house has a nice garden in the courtyard with a seating area that tenants can use to relax. 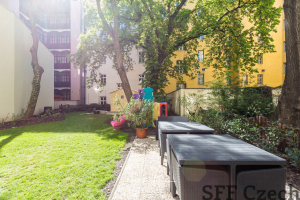 Excellent location, pedestrian access to Wenceslas Square, Namesti Miru (metro green line A), Karlovo namesti (metro Yelow line B), Charles University in street Kateřinská, tram (No. 22,16,10, 6, 4, 23, 11, 13) further in close proximity to shops, cafes, restaurants, banks, farmers market, pharmacy, polyclinic, KFC, Mc Donald and more. The apartment is suitable for individuals or couples, for students and workers. Erasmus students welcome. 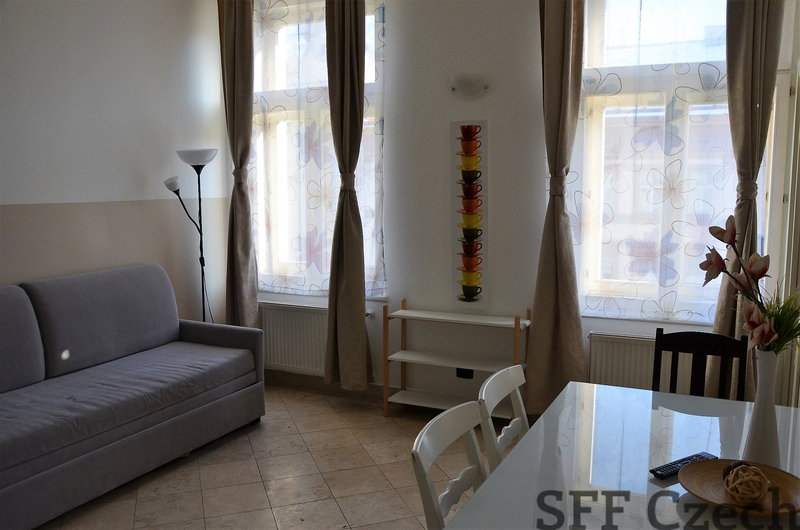 Monthly rent: 18.000 CZK + 4.000 CZK including all utilities, energy and internet Wi-Fi. Rental price (1-3 months): 21.000 CZK + 4.000 CZK charges. Refundable security deposit required equal to one month rent including charges.